Hello. I wanted to ask what's up with the "scoreboard" from this site that has been both very slow loading & scores updating over the past 2-3 weeks? It takes the "Football" scoreboard literally 5+ minutes to load & right now not a single game has been updated with a score. What is causing this problem? I am updated to the latest Firefox & don't have anything blocking the pages from loading & updating. I'm on Windows 7 Home Premium. Thanks. I haven't had any problems at all. I'll have someone double-check to be sure. Having trouble again this week with the scoreboard page for football loading. Last week I figured out it was my AdBlock Plus but I have it disabled this time. If I choose "All Sports" it will load but still very slow & I see no score updates. Thanks. It temporarily started showing the updated scores. Then, all of a sudden offline server error 505. It's now got the games up there for tonight but not a single score listed. 3rd straight week of problems with the scoreboard on game night. We're still looking for a solution. Anyone else having this problem? The same thing is happening from the scoreboard tonight. Page will not load or loads very very slowly. Doesn't matter if I choose "Football" scores or choose no particular sport at all. This is the 4th straight week this problem has been going on. At first I thought I had figured out the problem by disabling AdBlock Plus but even doing that doesn't fix the problem. This really needs to be figured out or people will stop coming to the site. Sure hope it's resolved by tomorrow for tomorrow night's games. Does the site need a server upgrade or what? Thanks. If you care to provide your device type, browser and version we can look at it more closely. We've not experienced anything like what you describe. Same thing is going on tonight as has been too. Not one single football game has a score listed or any updated scores either of course. Thanks. I use dual screens so the screenshot shows both. The Scoreboard on the right is right now using FireFox. iamoz will figure out what the problem is but I don't have any idea at the moment. Do you have a second browser (Edge, IE, Chrome...) that you can open just to check and see if the browser is the problem?. Not one single football game has a score listed or any updated scores either of course. Thanks. 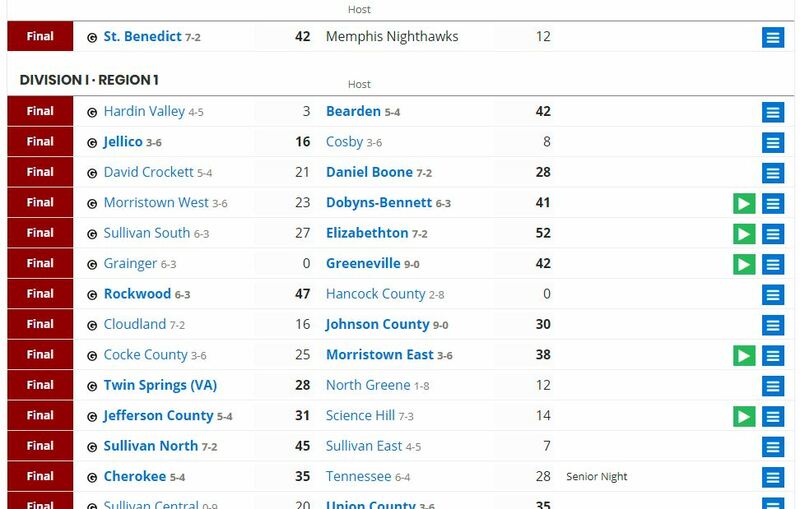 So if you click on this link -- http://www.coacht.com/tennessee/scoreboard/index.cfm?SportID=1&selDate=10-20-2017 -- you're saying there's no scores shown there?